WINNIPEG – The Pallister government has proclaimed Bill 29, The Health Sector Bargaining Unit Review Act, an unnecessary step that will further disrupt the health care system following a year of upheaval, says CUPE, which represents 11,500 health care workers in Manitoba. Over the past year, the government has cut health care funding, forced disruptive restructuring including deletions and layoffs on front-line workers, has closed ERs, shuttered Urgent Care Centres, axed health programs, and ignored growing health issues across Manitoba. CUPE has consistently cautioned that so many cuts and changes will put patient care at risk. “The last thing health care workers need right now is more uncertainty,” said Shannon McAteer, CUPE Health Care Coordinator. “Health care workers are already working short, feeling disrespected by this government, and now they are being given one more obstacle while they try to do their jobs.” There is a better way, says CUPE. 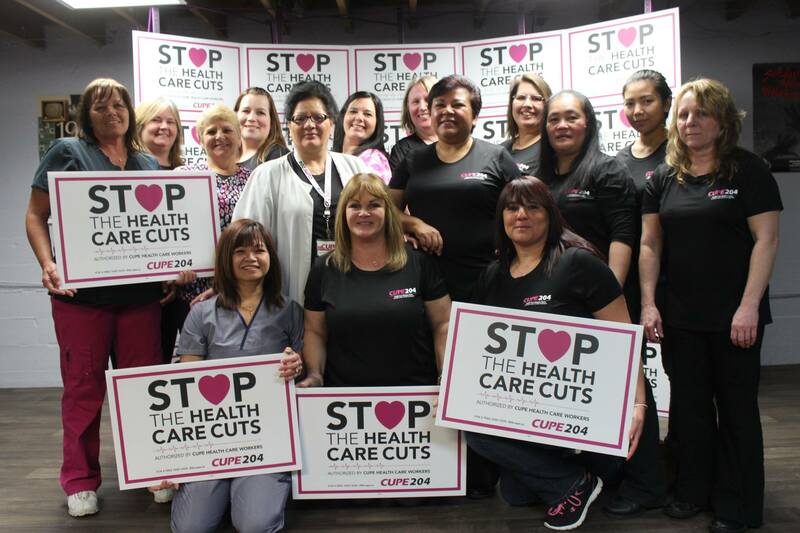 In response to the government’s concerns that health care has “too many bargaining units”, 7,000 CUPE health care members formed CUPE Local 204, a single union local that represents 20 health care facilities in Winnipeg and Manitoba, including hospitals, personal care homes, community clinics, health care programs, and more. This was done without disrupting health care, and at no cost to government. CUPE has also proposed a bargaining council, where each union would continue to represent its workers under a single collective agreement. Unfortunately, the Minister of Health has not responded to CUPE’s request for a meeting to discuss alternatives to Bill 29. CUPE is a strong health care union representing 150,000 health care workers across Canada, and over 11,500 in Manitoba.